Our Practice has an extensive Health Care Preventative Medical Service, run by the Practice Nurses and the Doctors. Antenatal care is provided by our midwife. Clinics are held on Tuesdays AM and PM and Wednesdays AM. Ad Hoc appointments can be made for any of our GPs if required. Please make a double appointment. Asthma/COPD Review appointments are available at the Surgery. 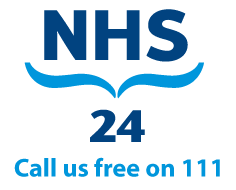 Patients can access this service by making an appointment with our Practice Nursing Staff – To do this please telephone the Receptionists on 0131 225 5220. We also have a pharmacist prescriber able to do this on a Tuesday afternoon. Child Health and Immunisation Clinics are run by our health visitor on Wednesday afternoon. For more information on the Child Immunisation Schedule visit the NHS Immunisation website. A Coil and Implant Service is available at the Surgery. This clinic runs once per month, usually mid-month on a Thursday afternoon. Patients can access this service by arranging a consultation with Dr Catherine Smith to discuss their options and a note of their contact details are taken at that time. Thereafter, the Practice arranges to contact the patients to book their appointment into the appropriate clinic. With a doctor or nurse.